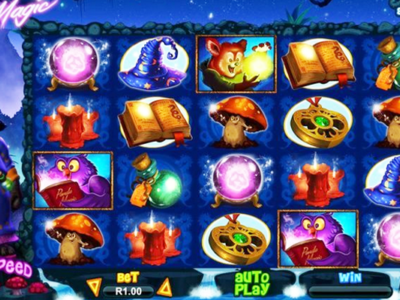 The Panda Magic slot machine game features five reels and does not have any fixed pay lines. Real time gaming release this “all ways pay” video slot machine in August 2016. This RTG slot is the third 3-D slot machine that Realtime Gaming released. The first two were the Orc Vs Elf slot and Pirate Isle slots. The “Panda Magic” slot machine game is one of the newer Realtime gaming casino slot machines and has excellent three-dimensional graphics and cinematic sounds to go. It does not have a progressive jackpot but has a plethora of ways to win and grandiose fixed coin jackpot. Overall Panda Magic slots is a decent game, but there are a lot newer three-dimensional slot machines that Realtime Gaming has released. It is a fun game to play and has some decent wins. If you are looking for three-dimensional game Realtime gaming software that hasn’t pressed jackpot, there are several others just only look at our “progressive jackpot” section. Before you start to play ‘Panda Magic’ 3D online slots for real money you will have to select the amount of money that you want to bet. The coin values go all the way up from $.50 to $12.50. This game is good for penny slot player because you can still bet less than a dollar per spin, but it may not be the best bet for a high roller looking to play high limit online slots for actual cash. This magical themed game has symbols on the reels that are indicative to its title. 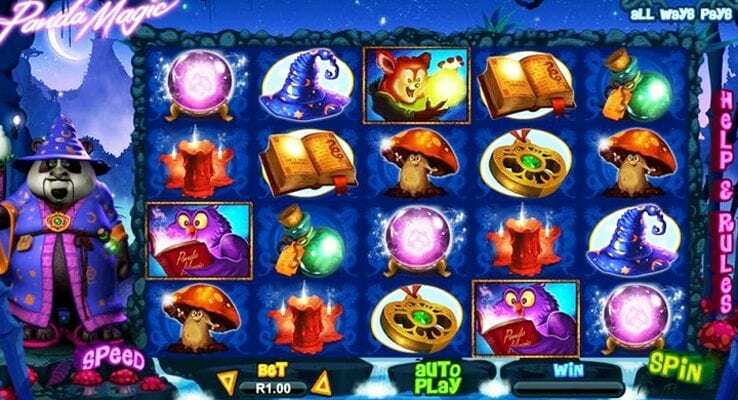 Once you decide to spin the reels playing the panda Magic three-dimensional video slot machines on the Internet or using a mobile Smartphone and tablet, you will see spell books, owls, other animals, hats, candles, mushrooms and even potions. One thing that you should be cognizant about is that this three-dimensional video slot machine does not have any pay lines per se. Therefore all that you need to do to create a winning combination is simply get the symbols to appear on the adjacent reels starting from the left-hand side to the right-hand side of a screen. Keep your eyes open for the wild symbols as well. They will substitute for all the other symbols including the scatter symbol to formulate a winning combination. They are expanding wild symbols to the point where even give you a bigger win with better graphics. The wild symbol is worth all the way up to 1000 coins per pay line. Play Panda Magic RTG Mobile Slots For Real Money At Delaware Casinos.